The Riad Seif Forum (also called Forum for National Dialogue) is or was a political forum, or muntadat, founded by "businessman-turned-dissident" Riad Seif, promoting political debate and freedom in Syria. It was considered one of the two most famous such forums of the Damascus Spring during 2000-2001 in Syria. Following the death of Syrian leader Hafez al-Assad in June 2000, Seif assembled "leading [Syrian] intellectuals and independent voices" to discuss "how to open up Syria's ... political system." The group — which met on Wednesdays evenings, in Seif's living room — "debated human rights, pluralism, press and academic freedoms, and how to build a civil society," and was the first of ten such forums that "marked the onset" of the Damascus Spring. It was later dubbed the Forum for National Dialogue according to journalist Robin Wright. In January 2001, Seif announced his intention to create a new political party to compete with the ruling Ba'th Party. A major seminar/meeting of the Forum was held on 5 September 2001. Several hundred people attended and leaders of the Syrian opposition called for political reform and democratic elections and discussed amending the constitution and issuing a call for a civil disobedience campaign. Following this Seif and the nine other opposition leaders were arrested. According to Human Rights Watch, the two members of parliament, Riad Seif and Ma'mun al-Homsi, were accused of "attempting to change the constitution by illegal means" and "inciting racial and sectarian strife" and sentenced by the Damascus Criminal Court to five years in jail. The eight other activists — Riad al-Turk, Aref Dalila, Walid al-Bunni, Kamal al-Labwani, Habib Salih, Hasan Sa`dun, Habib `Isa, and Fawwaz Tello — were referred to the Supreme State Security Court which issued prison sentences between two and ten years. Seif was convicted and sentenced to five years in prison and released in January 2006. This Syria-related article is a stub. You can help Wikipedia by expanding it. Riad al-Turk is a prominent Syrian opposition leader, former political prisoner for about 20 years in Syria, and supporter of democracy, who has been called "the Old Man of Syrian opposition." He was secretary general of the Syrian Communist Party since its foundation in 1973 until 2005. The Muslim Brotherhood of Syria, formerly the Islamic Socialist Front, has been described as "a branch" of the Sunni Islamist Muslim Brotherhood, and as "very loosely affiliated" to the Egyptian Muslim Brotherhood. In its most recent April 2012 manifesto, it "pledges to respect individual rights", to promote pluralism and democracy and does not even "mention the word Islam". The Syrian Democratic People's Party is a left-wing, democratic opposition party in Syria that is banned by the Syrian government. It is a part of several Syrian opposition alliances which are aimed at overthrowing the Syrian government, the National Democratic Rally, and the Damascus Declaration. The situation for human rights in Syria is considered egregiously poor among international observers. A state of emergency was in effect from 1963 until April 2011, giving security forces sweeping powers of arrest and detention. The Islamist uprising in Syria comprised a series of revolts and armed insurgencies by Sunni Islamists, mainly members of the Muslim Brotherhood from 1976 until 1982. The uprising was aimed against the authority of the secular Ba'ath Party-controlled government of Syria, in what has been called a "long campaign of terror". During the violent events Islamists attacked both civilians and off-duty military personnel, and civilians were also killed in retaliatory strike by security forces. The uprising reached its climax in the 1982 Hama massacre. 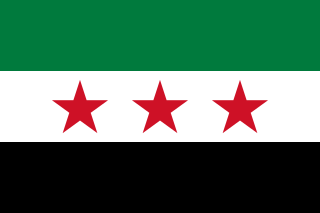 The Syrian opposition is an umbrella term for the political structure represented by the Syrian National Coalition and associated anti-government Syrian groups with certain territorial control in the form of a proto-state as an alternative Syrian government, claiming to be the legitimate Syrian Arab Republic and also sometimes known just as the Republic of Syria. The Syrian opposition evolved since the beginning of the Syrian conflict from groups calling for the overthrow of the Assad government in Syria and who have opposed its Ba'athist government. Prior to the Syrian Civil War, the term "opposition" had been used to refer to traditional political actors, for example the National Coordination Committee for Democratic Change; that is, groups and individuals who have had a history of dissidence against the Syrian state. Mouaffaq Nyrabia is a Syrian dissident, politician, political writer and mechanical engineer, best known for his pivotal role in the creation of Damascus Declaration, a prominent Syrian Opposition structure until the Syrian Revolution erupted in March 2011. Since he left Syria, in early 2013, he has been an active member of the National Coalition for Syrian Revolutionary and Opposition Forces, a member of its executive board, representing the secular political current Muwatanah. Nyrabia worked on founding a democratic bloc inside the Syrian Coalition and joined the similar attempts led by dissident writer and politician Michael Kilo. In June 2014, the democratic bloc, which became a major force inside the coalition, voted Nyrabia to be its candidate to preside over the coalition, after Ahmad Jarba, who is a member of the same bloc. However, in March 2016, Nyrabia was elected as First Vice President of the coalition. Riad Hammoud Darar is a Syrian opposition political and social activist and author from Deir ez-Zor. He was a proponent of human rights for Kurds in Syria since 2000. During his activism, he was imprisoned by the Syrian government for 5 years and was released in 2010. On 25 February 2017, he was elected as the co-leader of the Syrian Democratic Council.